Known for their originality, high quality machines and eco-friendly outlook, KYOCERA is committed to continuously creating new value out of technology. Focusing on making printers that work for you everyday, KYOCERA products are designed to create a harmonious balance between economic growth and sustainability. 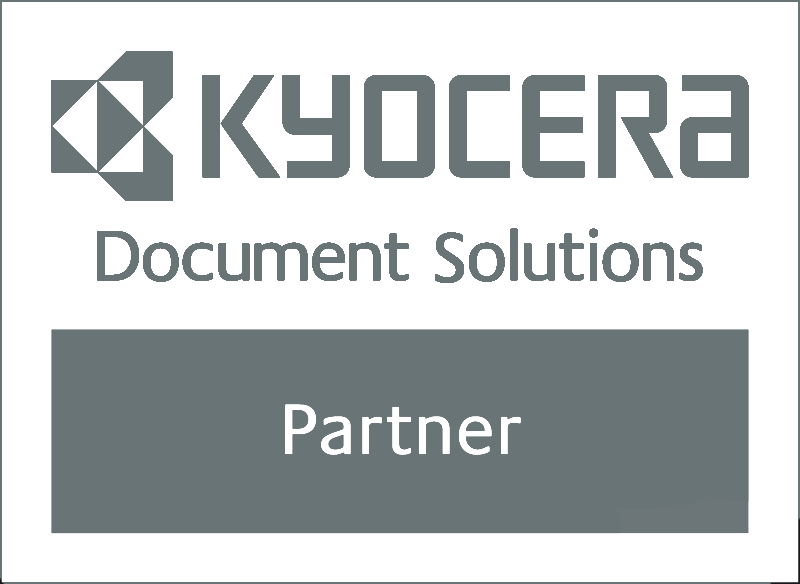 ITEC is a KYOCERA Partner and Reseller and turn organisations across the South of England into economically stable enterprises and leaders in sustainable printing. The partnership grants ITEC customers the most environmentally friendly cutting-edge all-in-one printers, and the highly trained ITEC Engineers know how to fix a problem quickly. KYOCERA has had a 25 year partnership with the UK Public Sector and is government approved. KYOCERA printers are a simple and cost-effective way to smash sustainability targets. Installing KYOCERA printers reduces paper waste and intelligently monitors unnecessary usage. ITEC design and develop a custom solution for your printing strategy using KYOCERA technology. We create a bespoke situation just for you. If you’re aiming to reduce your print expenditure, have tighter security or increase your sustainability at the most cost-effective price. Once installation is complete, we stay with you. The ITEC Help Desk is open for 12 hours everyday, and ITEC Engineers are roaming your area, on-call 24/7. We fix whatever problem you have. KYOCERA has been recognised by the UK government for their 25 years’ experience providing cost-effective solutions to organisations across the country. Installing KYOCERA printers reduces printing costs by 30% and your general running costs by 25%. With apps like Equitrac, we help you control and track your printing jobs, and with automatic waste reduction, every penny you spend on your print infrastructure brings back excellent return on investment. KYOCERA printers not only streamline your document management, they secure your data and documents with proactive security measures. The KYOCERA SecureAudit is a one-stop security solution, the KYOCERA Net Manager controls your sensitive documents and reduces your document processing costs, and the Data Security Kit is an easy to use, simple to implement and highly reliable deterrent from unauthorised access and activity.